This October, we’re so pleased to honor longtime Verblio contributor, international commerce expert, and overtime-enthusiast Kary VanArsdale with our Freelance Writer Spotlight. Since starting with Verblio in 2016, Kary has crafted content for over 500 happy customers, and she has been marked as a Preferred Writer for a whopping 151 accounts (nearly 400 unique subscriptions). Kary prefers to work on long-form content—boasting a perfect 5-star record on pieces at the 2000-word level—and is closing in quickly on her 1000th sale. Like many of our writers, Kary has a full-time occupation and writes for Verblio in her spare time. She serves as Director of International Sales for Avante Health Solutions (formerly DRE Medical) helping surgeons and hospital owners in 150 different countries access cost-effective medical equipment. 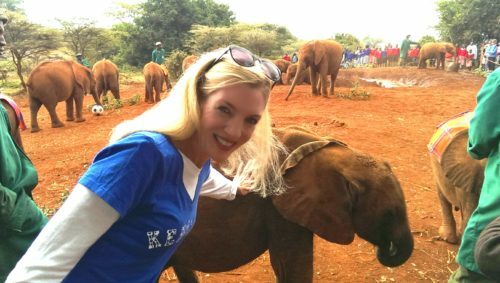 Kary is also a Certified International Commerce Specialist and has traveled across the globe for her work, visiting Dubai, London, Mexico City, and even Nairobi. She is currently developing content for SEO-boosting microsites dedicated to some of these locations, along with Avante Philippines, Avante Ecuador, and Avante Nigeria. In addition to having over 15 years of experience in the medical equipment industry, Kary also holds a master’s degree and a PhD in counseling psychology. She worked previously for the largest managed behavioral healthcare organization in the United States, Magellan Behavioral Health, designing and implementing preventative health programs. As you may have guessed, much of Kary’s writing for Verblio falls in the healthcare industry. However, her broad experience in sales, commerce, and content creation allow her to excel across several other industries, including business consulting, e-commerce, and marketing. She is currently working on a 3000-word piece about the transition from batch bioprocessing to continuous bioprocessing. Don’t worry—I had to look that up, too: In brief, bioprocessing refers to the production of biological materials for commercial use or the use of biological processes, such as fermentation, in commercial manufacturing. Kary isn’t one to shy away from a technical topic: “I have always welcomed a challenge, and my endeavors with Verblio are no exception to this rule.” Kary delights in bringing life to topics that might otherwise risk putting readers to sleep: plastic injection molding, industrial safety regulations, or hydraulic hoses. Thank you for this post. As always, it exceeded my expectations for the blog. Your writing is exceptional, and you always find a way to make what could be sometimes a dull topic very interesting. Although Kary works well over 40 hours each week at her full-time job, she also somehow finds the time to complete—and yes, even delight in—tight deadlines that allow her to wow customers with her efficiency. Kary’s content is well crafted, not only in terms of the writing itself, but also in terms of its visual organization and readability. “I enjoy creating beautifully organized copy that aces the eye test,” she says. Kary explained that she chooses who to write for based on these criteria. She’s even willing to take on tougher and more technical topics as long as she knows that the customer will give her feedback that helps her continue to improve her writing. So, the more technical your topics, the more critical it is that you give clear feedback and let writers know quickly whether their content will work for you. Outside of working and writing, Kary is also a runner and has completed 3 marathons, so far. 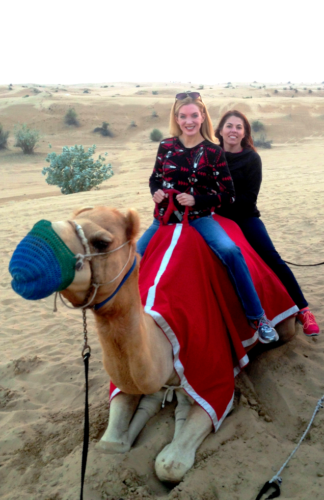 She speaks fluent Spanish, which she uses heavily in her daily work in international commerce, and she loves sports, including basketball, football, and horse racing. 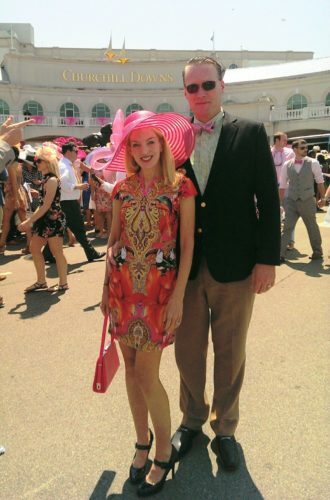 She’s also a native Kentuckian, so she happily attends the Kentucky Derby every year with her husband, Wes. Thank you so much to Kary for being an amazing member of our writer community! It has been such a pleasure working with you, and we’ll look forward to seeing more top-notch content from you in the future. As Manager of Writer Operations and Data at Verblio, the best part of my job is working with — and for — a nationwide community of content creators. As a former freelance writer myself, I believe in the power of flexible, online work to create opportunity for people whose lifestyles don't fit the traditional mold. Outside of the office, I spend every spare minute in the mountains: skiing, splitboarding, rock climbing, ultra running, thru-hiking. The farther, the higher, the faster, the better.